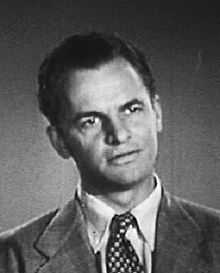 For other people with the same name, see James Gregory (disambiguation). James Gregory (December 23, 1911 – September 16, 2002) was an American character actor known for his deep, gravelly voice and playing brash roles such as the McCarthy-like Sen. John Iselin in The Manchurian Candidate (1962), the audacious General Ursus in Beneath the Planet of the Apes (1970), and crusty Inspector Frank Luger in the television sitcom Barney Miller (1975–1982). Gregory was born in the Bronx in New York City, and raised in New Rochelle, just north of New York City. In high school he was president of the Drama Club. He briefly worked on Wall Street as a runner in 1929 and thought of being a stockbroker, but, by 1935, had become a professional actor instead. In 1939, he made his Broadway debut in a production of Key Largo and worked in about twenty-five more Broadway productions over the next sixteen years. He served three years in the United States Navy and United States Marine Corps during World War II. His early acting work included Army training films; one such appearance is excerpted in The Atomic Café (1982). He played the irascible Naval Commander C. R. Ritchie in the movie P.T. 109 that chronicled the U.S. Naval experience of Lt. (jg) John F. Kennedy. Gregory was the lead in The Lawless Years, a 1920s crime drama which aired forty-five episodes on NBC. In the series, which ran from 1959–61, he played NYPD Detective Barney Ruditsky. After his appearance as the McCarthyistic Senator Iselin in The Manchurian Candidate (1962), Gregory starred in the film PT 109 (1963) with Cliff Robertson. He played Dean Martin's spy boss MacDonald, in the Matt Helm film series; in the original Star Trek series in the episode "Dagger of the Mind" (1966), as Dr. Tristan Adams; and in the Elvis Presley film Clambake (1967). In the pilot movie for the Hawaii Five-O (1968 TV series), Gregory became the first actor to portray State Department official Jonathan Kaye, a recurring character on the series. Gregory was a semi-regular on the TV series Barney Miller as Deputy Inspector Frank Luger. His final acting credit was in a 1986 episode of Mr. Belvedere. Gregory died of natural causes in Sedona, Arizona in 2002, aged 90. He and his wife, Anne Miltner (1917-2005), are interred at the Sedona Community Cemetery. ^ Olive, Myrna (September 19, 2002). "James Gregory, 90; Veteran Player of Cops and Generals in Movies and Television". Los Angeles Times. ^ "James Gregory, Actor, 90, Dies". The New York Times. Associated Press. September 19, 2002. This page was last edited on 13 April 2019, at 21:04 (UTC).